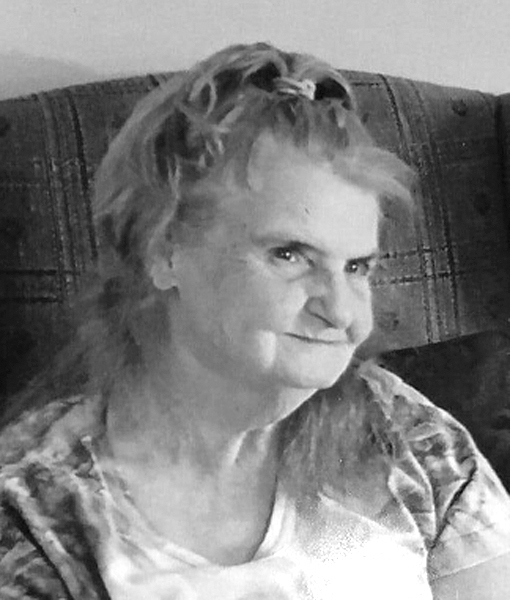 Rosalee Hedrick Hornick Thompson, 77, a resident of Elkins, passed from this life Sunday, Jan. 20, 2019, at her home surrounded by her family and under the care of Mountain Hospice. Rosalee was born Thursday, May 20, 1941, in Whitmer, a daughter of the late Clinton Judy and Edith Wanda Hedrick. She was married twice, first to Dale Hornick Sr., who survives and then to Bobby Thompson, who preceded her in death. Left to cherish her memory is the father of her children and best friend for life, Dale Hornick Sr., four children, Dale Hornick Jr. and wife Glenda, Teresa Eimutus, Tammy Drain, and Donna Newport and husband Roger, all of Virginia, 11 grandchildren, 17 great-grandchildren, three siblings, William “Bill” Pennington, Ann Ruth Wynn and Roger Hedrick, and beloved dog and sidekick, Nuisance. Preceding Rosalee in death besides her parents and husband was one daughter, Debra Hornick, and three brothers, Wayne, Richard and Thurman Pennington. Rosalee attended the schools of Randolph County and had been employed as a caregiver for the State of West Virginia. She enjoyed shopping, dancing and listening to music. Rosalee was Methodist by faith. Visitation will be held at the Randolph Funeral Home Friday, Jan. 25, from 11 a.m. to 1 p.m., the funeral hour. The Rev. Bryan Headley will officiate and interment will follow in American Legion’s Little Arlington Cemetery in Elkins. The family suggests that memorial contributions be made in Rosalee’s name to Mountain Hospice, 228 Fourth St., Elkins, WV 26241. The Randolph Funeral Home and Cremation Services has been entrusted with the arrangements for Rosalee Hedrick Hornick Thompson. Send online condolences to the family at www.therandolphfuneralhome.com.